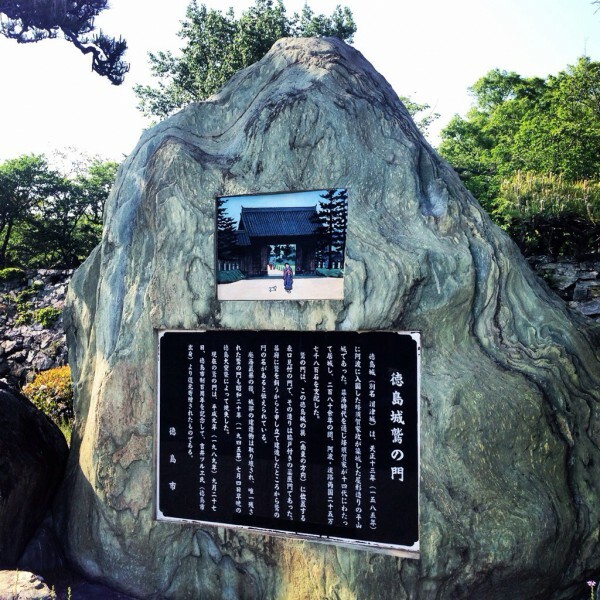 A monument that stands in Tokushima Park with an Iihara painting inset. Professor Kazuo Iihara has spent his life working to preserve the history and culture of Tokushima prefecture for generations to come through his artwork. His historic scenes of Tokushima and their detailed explanations reveal what life was like in days gone by and how the prefecture has changed over time. His work is regularly exhibited across Tokushima and some of his artworks have become permanent fixtures of the urban fabric (see above). Tokushima Bunri University has founded a digital archive to preserve the work of Kazuo Iihara for future generations. This collection provides a comprehensive overview of Tokushima Prefecture’s society and culture over the last 150 years. By digitizing this collection of 170 images and providing English explanations these cultural assets will be preserved and made accessible to a wider audience. The motivation for digitizing Tokushima’s cultural assets was strengthened on March 11th 2011 when The Great East Japan Earthquake struck and a tsunami of unprecedented scale was generated. Tens of thousands of lives were lost, people’s homes were destroyed and vital infrastructure was severely damaged. A great deal of the material history of the Tohoku region, including prized cultural assets, was irreparably damaged or lost. Every effort has been made to provide accurate translations that convey the essence of the original Japanese text. Introductory sections have been provided for each section and additional information has been added by myself to aid understanding for the foreign reader. The responsibility for any in-accuracies is entirely my own.